What else does BYB do? In addition to workplace wellness screenings we also provide the following health promotion services in a variety of customizable packages to work for everyone's unique goals. With professional onsite training for your staff, they’ll receive certifications good for two years. Be sure your employees know how to respond in case of an emergency at work or at home. Using a variety of modern, state of the art training equipment anyone taking this course will not only come away with their two year certification but will also be comfortable knowing they now have the ability to respond to an emergency accurately. A variety of group exercise programs are available for staff, including but not limited to: walking programs, strength conditioning, yoga, pilates and various work hardening and aerobic conditioning programs. We love to manage fitness challenges, too! Onsite Total Cholesterol, HDL, glucose, and blood pressure screenings are performed with Cholestech technology. A simple finger stick yields results in just 7 minutes. Professional counsel, test results, up-to-date health information and physician referral is included when necessary. Working one on one with individuals looking to make lifestyle changes to improve personal health, together we design a comprehensive plan from scratch to suit your personal lifestyle goals. Not able to join us in person? That's okay! We teach classes on Skype! Join us virtually at your own convenience to keep yourself plugged into the ever growing positive lifestyle and healthy living movement. With a wide variety of workshops and live food demonstrations facilitated by certified Serv Safe staff, BYB Health offers helpful handouts, recipes, healthy tips, up-to-date nutrition information, and group interaction. How about some in home meal planning and prep services? Our bodies are fueled by what we eat, reap the benefits of a healthy diet and easy meal planning and prep. 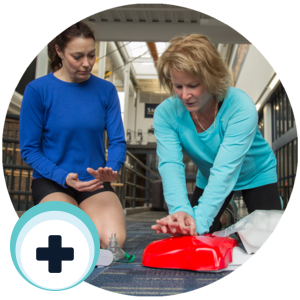 A range of customized programming is available to your group, including topics such as: Low Back Conditioning, Managing Time, Balancing Stress, Motivation, and Relaxation or Stretch Breaks. Do you have a unique need? Contact us today and together we can custom a program that suits your lifestyle goals.